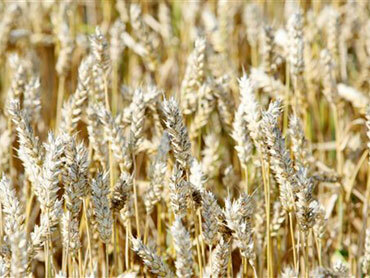 British scientists have decoded the genetic sequence of wheat - one of the world's oldest and most important crops - a development they hope could help breed better strains of the global food staple. Wheat is grown across more of the world's farmland than any other cereal, and researchers said Friday they're posting its genetic code on the Internet in the hope that farmers can use it as a tool to improve their harvests. The discovery could also prove handy to genetic engineers. University of Liverpool scientist Neil Hall said that the code would serve as "the reference - the starting point that new technology and new science can be built upon." He said that, for example, the information could help farmers better identify genetic variations responsible for disease resistance, drought tolerance and yield. Although the genetic sequence being published Friday remains a rough draft, and additional strains of wheat need to be analyzed for the work to be truly useful, Hall predicted it wouldn't take long for his work to make an impact in the field. Among the potential benefits of tougher strains of wheat: Lower prices for bread and greater food security for the world's poor. Wheat is a relative latecomer to the world of DNA mapping. This year marks the 10th anniversary of the date the human genome was laid bare. Other crops have had their genetic codes unscrambled within the past few years - rice in 2005, corn in 2009, and soybeans earlier this year. The reason for the delay in analyzing wheat's genetic code, Hall said, was that the code is so massive - far larger than corn or rice and five times the length of the one carried by humans. One reason for the size is that strains such as the Chinese spring wheat analyzed by Hall's team carry six copies of the same gene (most creatures carry two.) Another is that wheat has a tangled ancestry, tracing its descent from three different species of wild grass. But sequencing techniques have improved dramatically over the past decade, and scientists were able to draw up their draft of the code in about a year. Although the code may yet see use by genetic engineers hoping to craft pesticide-resistant strains of wheat, Hall was at pains to stress the conventional applications of his work. Until now, breeders seeking to combine the best traits of two strains of wheat would cross pollinate the pair, grow the hybrid crop and hope for the best. Once they know which genetic markers to look for, Hall said, new forms of wheat could be rolled out far faster. The cracking of wheat's code comes at a time when prices have shot up in the wake of crop failures in Russia, highlighting how the vagaries of world food production can hit import-dependent countries such as Egypt. Concerns over climate change, water shortages and population growth have loomed in the background for years. New risks include a destructive mutant form of stem rust. The reddish, wind-borne fungus - known to scientists as Ug99 - has devastated wheat crops in places such as Kenya, where up to 80 percent of the wheat in afflicted farmers' fields have been ruined. Alexander Evans, an expert in resource scarcity issues at New York University, welcomed the announcement as something that would be "really helpful in helping farmers producing food that will meet those challenges." But, as one British paper hailed the announcement as the most significant breakthrough in wheat farming for 10,000 years, Evans warned against putting too much faith in genetics, saying that reforming the politics and economics of food distribution was easily as important. "We have to be very careful about saying that science will feed the world," he said.